I keep meaning to put a tag at the end of all my posts that mentions my show. I have to keep the idea in the forefront of everyone's mind. I've been emailing people but I need to mention it on the internet every single day. I'm going to put a tag on this post right now and then I'm going to copy and paste it into every post from now on. Please hold me to it. And please tell everyone you know who might possibly be able to come. 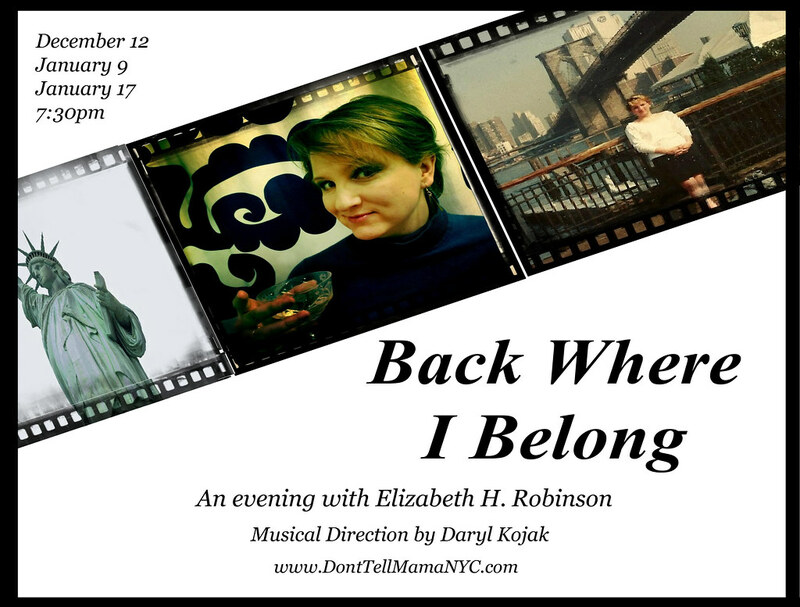 Don't forget that the world premiere of my new cabaret show, Back Where I Belong, is coming up December 12, January 9, and January 17. Details are here. I hope you can make it!